Laser-Assisted Liposuction at the American Lipo Centers Bowie Maryland office offers an alternative to traditional liposuction in many ways. First of all, it is done in the office under local tumescent anesthesia Second, liposuction costs can be dramatically less than with traditional liposuction. Laser-assisted liposuction (lipolysis) is an ideal method of ablating, melting and removing unwanted fat with fewer risks and less downtime when compared to traditional liposuction. It is somewhat similar to treatments such as CoolLipo, SlimLipo and SmartLipo and our physicians at American Lipo Centers feel that our laser-assisted liposuction offers superior fat reduction AND skin tightening with the least amount of side effects. The laser liposuction technique at American Lipo Centers involves the use of fiber-delivered laser energy to the target fatty tissue through small incisions. Depending on the amount of targeted fatty tissue, 1 to 3 liters of fat can potentially be removed during a treatment session. Also, since the laser liposuction procedure at American Lipo Centers is actually melting and removing fat in just one session, we consider it a procedure that usually only requires one treatment as opposed to some laser liposuction techniques that require multiple sessions. American Lipo Centers in Bowie Maryland uses tumescent local anesthesia which does not require general anesthesia or intravenous sedation. There is minimal downtime and many patients return to work in just 2 or 3 days. In addition to ablating and melting fat, laser liposuction also tightens skin through its collagen remodeling, which liposuction alone does not do. 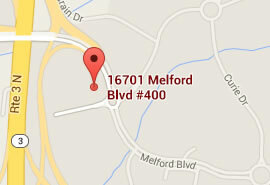 We are conveniently located in Prince George’s County Maryland in Bowie Maryland. Many of our patients come from all parts of Maryland including Crofton, Lothian, Siliver Spring, Bethesda, Rockville, Hyattsville, Landover, Upper Marlboro, College Park, Beltsville, Takoma Park, Kensington, Wheaton, Greenbelt, Laurel, Lanham and other parts of Maryland and Montgomery and Prince George’s County. Our physician in our Alexandria location is Dr. Gilad Segev. Dr. Segev is currently rated by ratemds.com as one of the top cosmetic surgeons in the state and was rated as one of the top ten cosmetic surgeons in the country. He is an experienced cosmetic surgeon who has performed over 2,500 laser liposuction cases with rave reviews. You will love his outgoing bedside manner and will see why his patients speak so highly about him. You will also be impressed by his perfectionist surgical technique as he meticulously contours your new body. See Dr. Segev’s top rating.